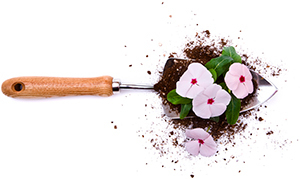 A celebration of life service can occur at any time after losing a loved one. Some families plan such a remembrance to coincide with a funeral and burial. Others hold cremated remains until everyone can gather for a memorial service or ash scattering. You can even hold a celebration on the anniversary of someone's passing to continue to pay respects to them. A celebration of life service is a loving way to remember and honor the life and legacy of your loved one. These services highlight what made your loved one unique — their history, passions, work, hobbies, relationships, and stories. What makes a celebrating life service so special, is the flexibility that comes with the service. A memorial service can take place as soon as or long after someone has passed. 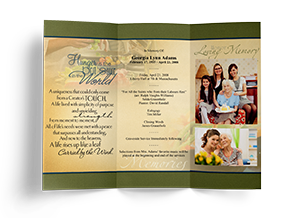 They are also completely customizable in terms of format, style, theme or keepsake depending upon how you choose to pay respects to your loved one. At All County Funeral Home & Crematory, our team will work with you to create a unique and personalized memorial service that incorporates your loved one’s interests, personality, and life story. We also offer memorial items and keepsakes to make your celebration of life memorial service even more meaningful. Together with our wonderful staff, we will create a one-of-a-kind life celebration video. 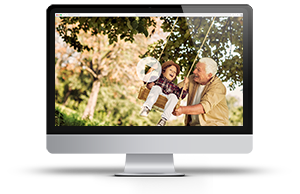 Our customizable tribute videos allow you to select the music, incorporate photos, and other personalization elements to reflect and celebrate your loved one’s life and legacy. Life tribute videos make meaningful keepsakes for families after a memorial service and help you keep your loved one's memory alive through the generations. Our high-quality stationery options include prayer cards, memorial folders, register books, thank you cards and other products you can use to communicate a life story or provide a keepsake for friends and family. 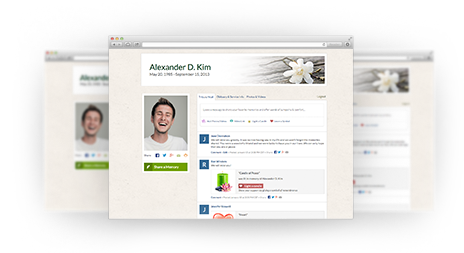 Online tribute walls invite friends and family to share stories about their lost loved one or offer sympathy or condolences to the family. The page also becomes a permanent virtual tribute, honoring your loved one and providing family members with a place to go to reconnect with messages of love and a celebration of the life that meant so much to them. For more information or to learn more about the preplanning process, contact us today.